I love a big ‘ol plate of leftovers after Thanksgiving, but there always seems to be that one leftover dish that’s never ending. I can eat leftover plates till the cows come home but when it gets down to just mashed potatoes and cranberry sauce it’s time to find new and interesting ways to incorporate them into my menu. I’ve rounded up my 6 favorite ways to use up leftovers with my friends over at Morton Salt. This post was sponsored by Morton Salt but all thoughts and opinions are my own. Please see my disclosure policy for more information. We waste 40% of all our food in America the equivalent of throwing out 150,000 tons of food each day. Really, why are we wasting so much food!? And, we waste even more this time of year. On average 25% more waste occurs between Thanksgiving and Christmas, and according to the BBC Americans waste 200 MILLION POUNDS of edible turkey each holiday season. I think that’s ridiculous, don’t you? So, let’s make sure that we’re eating all of our leftovers. Check out my plastic-free guide to storing leftovers, sending guests home with food the zero waste way, and tips for utilizing your freezer to prevent food waste. And, of course, be sure to check out these 6 delicious ways to reinvent your leftovers! Before we get to the recipes, I have to mention the epic giveaway I’m doing with Morton Salt on Instagram. You DO NOT want to miss it! 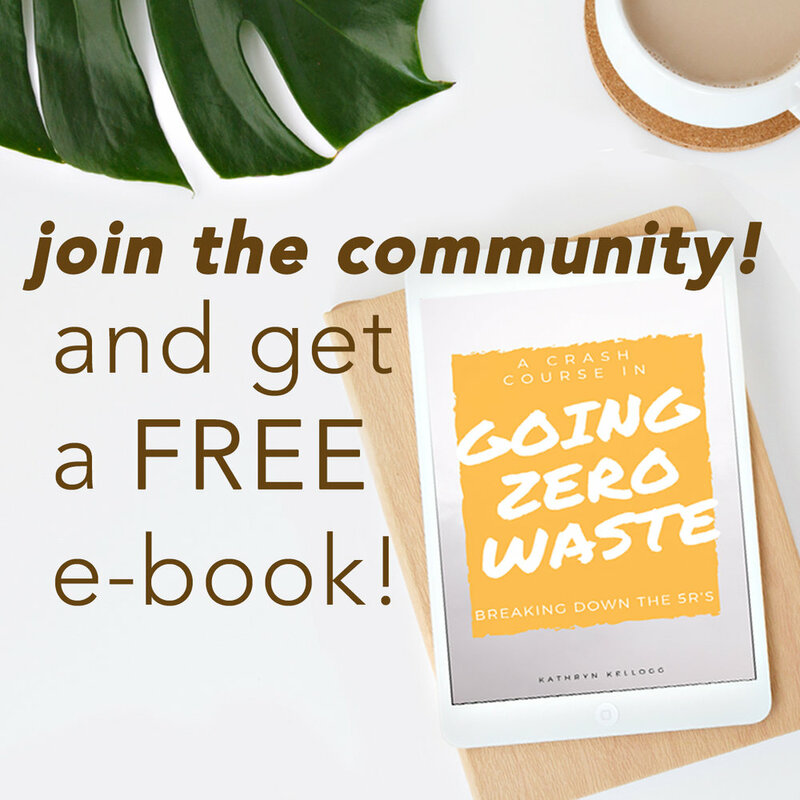 If you’re in the market for a zero waste kit including tons of essentials like nesting tiffins, stasher bags, a metal water bottle, a reusable bag, and even my friend Joel’s cook book all about using your food scraps… then this is the giveaway for you. Without further adieu here are 6 of my favorite recipes. My favorite dish on the Thanksgiving table is my roasted vegetable medley. There’s just something so tasty about sinking my teeth into sweet, caramelized root vegetables. If I have any of the roasted veggies left over, I love to reheat them in a cast iron skillet on the stove top. It’s a nice way to crisp up the veggies. Then I’ll make a hole in the center of the vegetables and crack an egg. Sprinkle with a little bit of Morton All Purpose Sea Salt for the perfect day after Thanksgiving breakfast! The Morton All Purpose Sea Salt comes in a full cardboard container which you can recycle or compost. If you’re recycling be sure to cut the top off to make sure that the cardboard is clean! You can read more in my post How to Recycle Paper the Right Way. UPCYCLING HACK: The tops with the metal swing lids make a great edition to mason jar tops. Perfect for dispensing spices, snacks, or cleaning products easily! Whether or not you’re making a whole roasted cauliflower or a turkey, leftover sandwiches are always a great way to use up lots of your ingredients including those dinner rolls! I like my Thanksgiving sandwiches STACKED. Mashed potatoes are one of those dishes I make way too much of. I love to use the leftovers to make a shepherd’s pie. It’s also a great way to use up leftover turkey! Mix the turkey with leftover roasted vegetables or keep it traditional with peas, carrots, and a sprinkle of Morton Coarse Sea Salt (the larger salt crystals add a crunch along with a burst of flavor to any food, making it a great option as a finishing salt). Place the mixture in a baking dish and cover the top with mashed potatoes. Bake until everything is heated through and the top is looking golden brown. The nice thing about shepherd’s pie is how flexible it is. You can make it in individual dishes or make it in a large pie tin depending on the crowd and amount of leftovers that you have! I’m typically the only person that likes cranberry sauce, so I’ve found myself forgoing it. It’s hard to eat that much cranberry sauce by yourself…. So, if you’re in a similar situation, you have got to try cranberry sauce grilled cheese sandwiches. It’s also a great way to use up leftover cheese from the cheese platter. If you like sweet and salty flavor combinations, then you’re going to love this. I think it’s best with a little bit of mild cheddar and brie. If you eat meat, turkey would make a great addition too. Add all of your ingredients to either a leftover dinner roll or sandwich bread and grill on the stove top. party, I always find at least one bottle of wine half drunk and uncorked. The wine is far too oxidized to drink, but it makes GREAT vinegar! Yes, you can turn your stale wine it into a delicious homemade red wine vinegar. If you already have a bottle of red wine vinegar in your house, you can just add your wine to that batch and it will turn into vinegar in a few short days. If you’re starting from scratch, place the wine in a clean jar and add 1/4 cup of apple cider vinegar with the mother into the batch. Cover with a swatch of cloth so it can breathe for several weeks. Eventually it will turn into vinegar, and the next time you wind up in this situation, you can just keep adding to that batch! Check this post out for more information on making your own apple cider vinegar. Oh yes, you read that right! This is one of my favorite recipes. It makes amazing milkshakes too. Now, I don’t know how sweet your sweet potatoes are to begin with, but you can adjust the sweetness with maple syrup and don’t forget to add a pinch of salt! Fine Salt is a flavor enhancer! It can actually increase sweetness, unami, and reduce bitterness. The fine sea salt crystals dissolve quickly and blend in easily creating a perfect balance for this dessert. 2 cups of non-dairy milk coconut is best! Once frozen through (a couple of hours) scoop and enjoy! If you found this post useful, please share it with your friends so we can #EraseFoodWaste together! 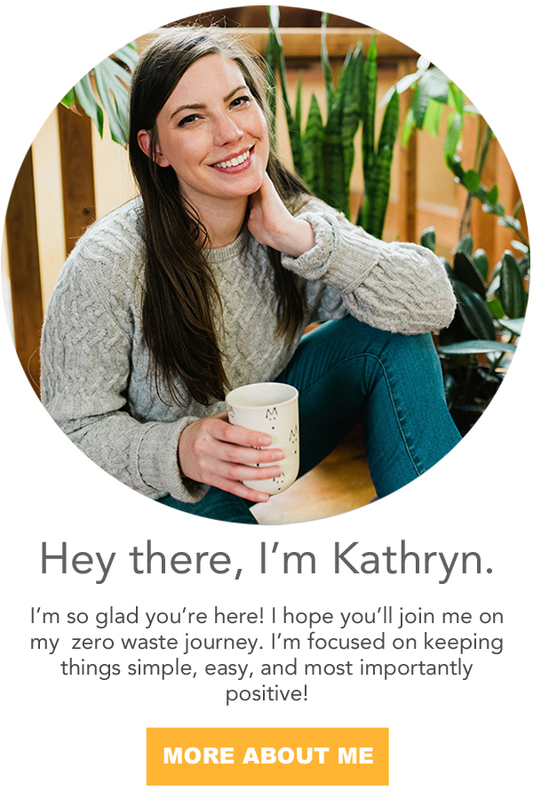 And, don’t forget to enter the giveaway on Instagram for some sweet zero waste goodies.